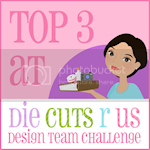 And before you get any wild ideas - no, we're not having another baby! It's the wonderful new Baby digis from Deedee's Digis that has me saying that! 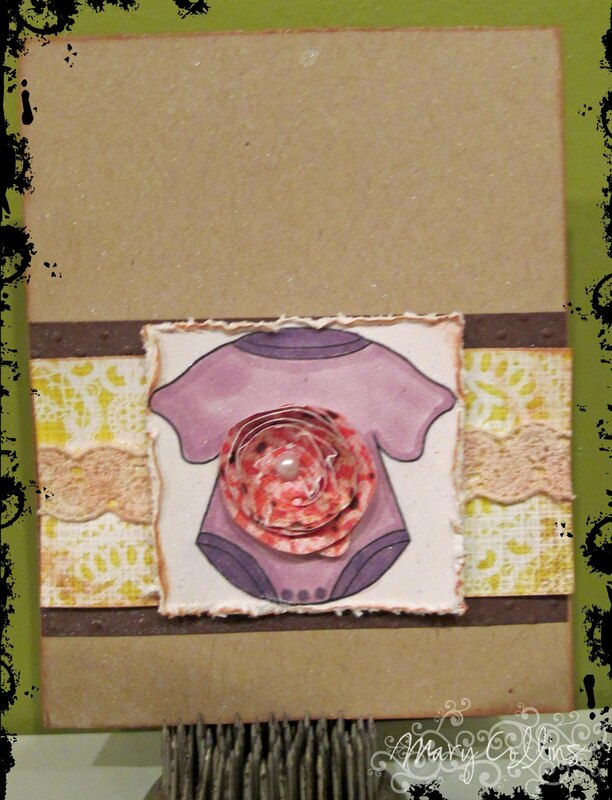 You see, I have always dreaded making baby shower cards. To be honest, I usually *faints* buy them from the store... <---that is how bad I really dislike it! 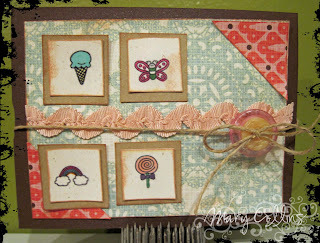 But with these stamps - I actually made 3...in one night....SUPER easy...no pain to it! First off, my kind of baby! 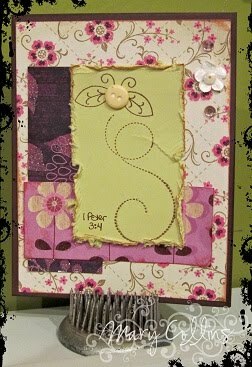 Kraft, the vintage feel of Basic Grey paper, some distress ink, an edge distresser, and a homemade flower (Christian Paper Crafts Bible Verse Thursday Challenge)... Meet Ms. 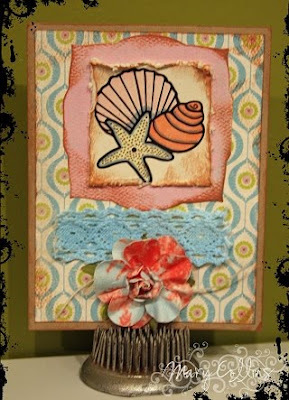 Shabby Chic! 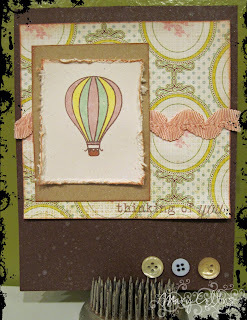 *All card layouts were inpired by the sketch at CPS this week! Good morning! Welcome to the middle of the work week! Today I want to introduce you to a sweet little stamp set that is all new from Deedee's Digis: Inchies for a Cure! These little things are so special, and especially to me! You see, the money from the sales of this set (minus payal fees) goes to the National Childhood Cancer Foundation. Since my sister passed away when I was only 18mos old from Aplastic Anemia, I feel so blessed that Deedee is doing something like this!! 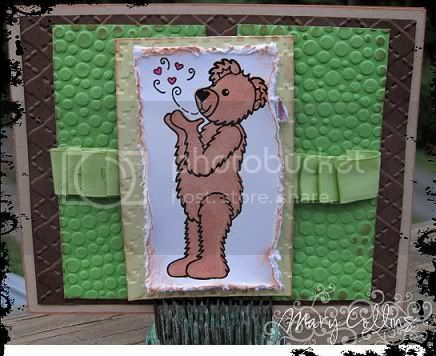 Here is my little card made for the Wednesday Case Artist at Christian Paper Crafts, featuring LelaScraps and using the sweet set! 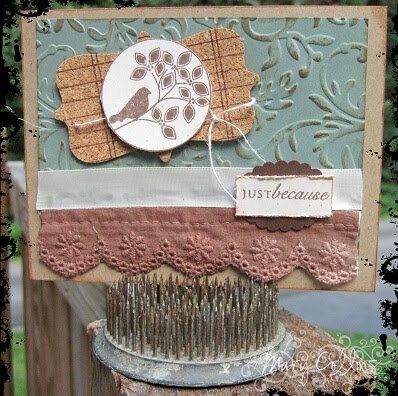 Hmmm, I must be in a "muted color" sort of mood today... Maybe it is because the Summer is quickly passing by us and these sorter shades for some reason make me think of the humid Summertime we have had here... 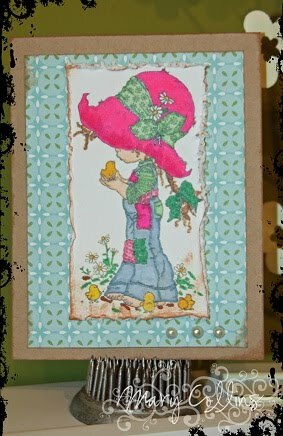 Check out the sketch challenge over at Christian Paper Crafts to play along with this lovely little sketch! Wow! You know it really is a Color Monday when the challenge at Christian Paper Crafts AND Crafting with Deedee's Digis are colors...and opposite colors at that LOL! 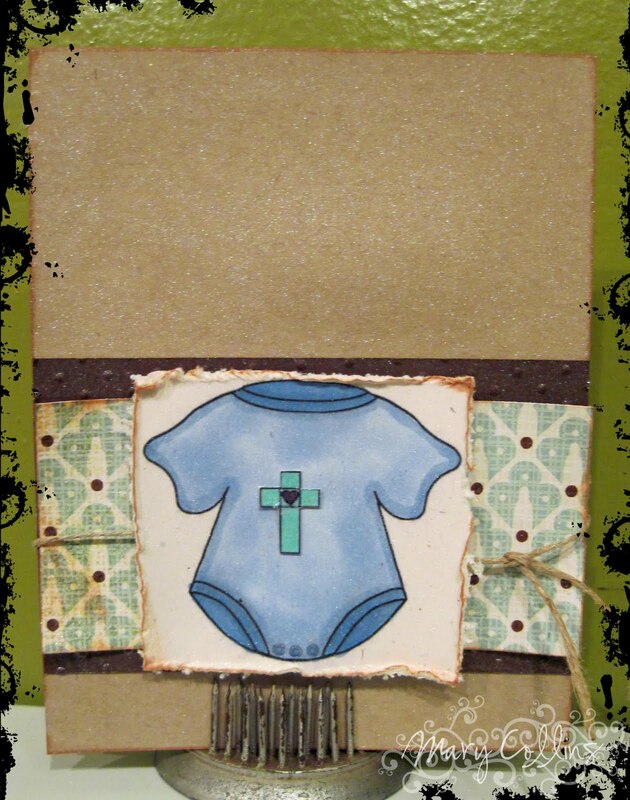 Now, notice the same sketch from Card Positioning Systems, but I changed it up and added the Christian Paper Crafts Colors and a different image! I hope that beginning of your week is wonderful! Merry Christmas &a Pig...Say What?! Well, I know that it is Summer time, but Christmas challenges seem to be popping up everywhere! Have you noticed it too? 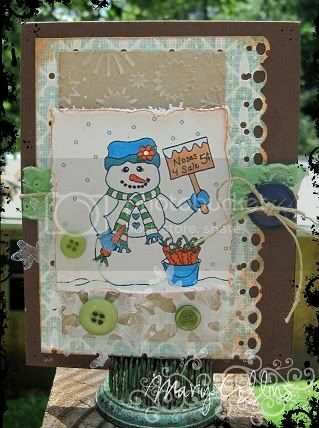 I figured that I may as well jump on the band-wagon, that way I would have at least one card done come Christmas time! 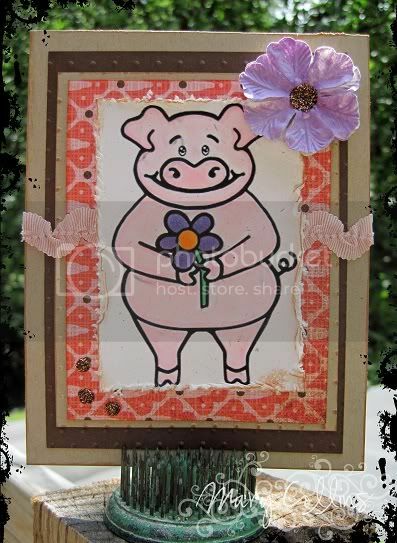 Next up is a cute little pig card that I made to go along with a Prayer Shawl that I am working on. The cute little image is from Deedee’s Digis and you can find him in the Dollar Digi bin over there at the Deedee’s Digi’s Store! 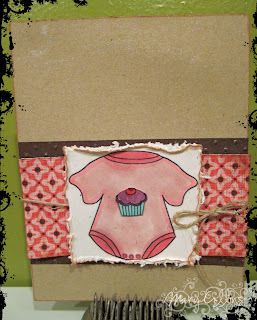 The wonderful sketch is from Sweet Sketches. 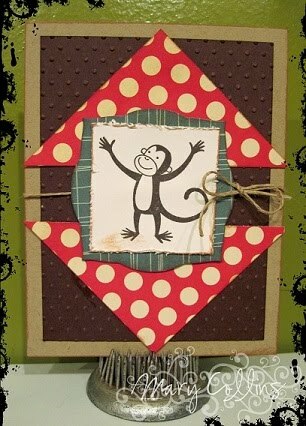 What better day to monkey around than a Friday? I love going home to sweet Abby on Fridays and knowing that we get to spend the weekend playing together and "monkeying" around! 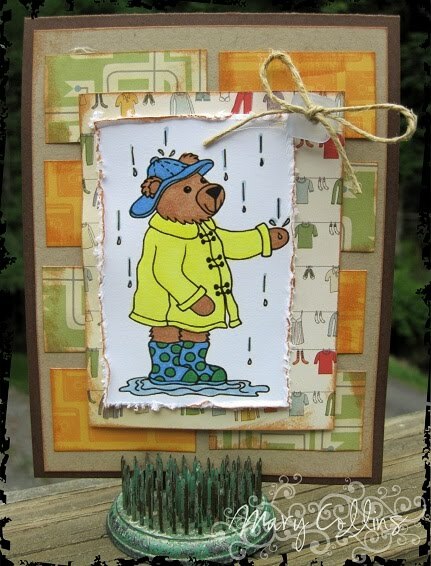 Christian Paper Craft's Fun on Friday Challenge for today is to use Polka Dots! 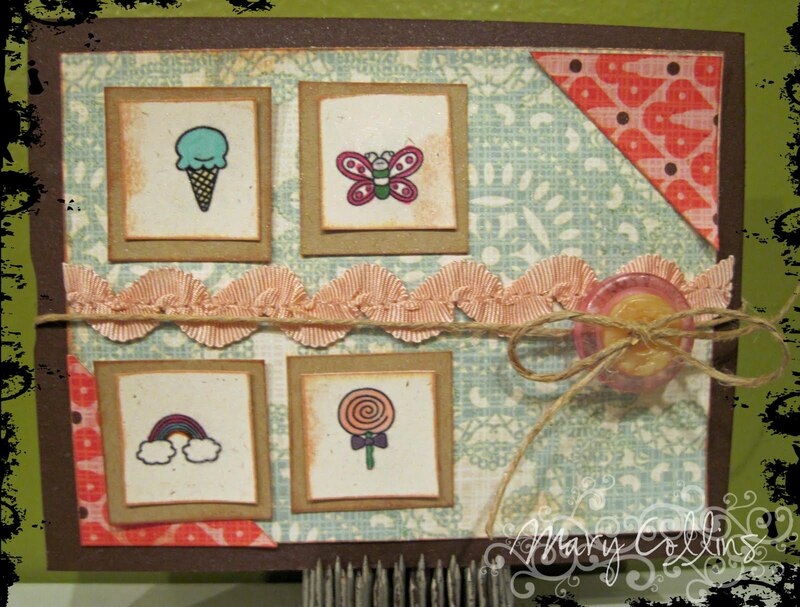 It seems like dots are just popping up everywhere anymore and I love them! 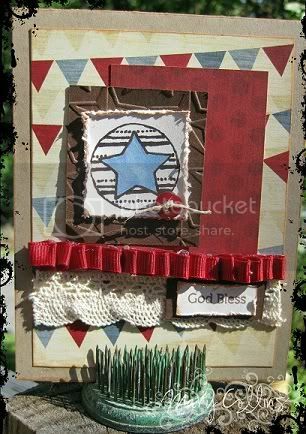 The cute sketch here is from Paper Works Co. A "new to me" sketch site, but I thought it was oh so cute, and it will be perfect for a "kids card" for the Prayer Shawl Ministry! 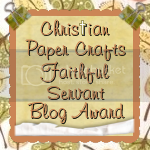 No, there's not really any of that going on around here, but it is the theme for today's Bible Verse Thursday at Christian Paper Crafts, AND the site is back up and running!! I think little honey-bees (like on Winnie the Pooh) - look so peaceful. That is, until they are real and can sting you! But don't worry, this little feller is just cute - no stinging here! I used another "new to me" Sketch site today too, Sunday Sketch & Stamp! Great sketches and super recommended! It's Wednesday, so you know what that means, right? Of course, it's time for the Wednesday CASE Artist over at Christian Paper Crafts! Today the CPC site is being a tad bit silly, so we are directing everyone to the Creative Blog for the day! Hope your week is absolutely fabulous! Tonight is our "Relay Wrap Up" meeting, which also means it is time to start planning again for next year! This little number is for the sketch challenge over at Christian Paper Crafts this week and the Stampin Sisters In Christ Challenge! 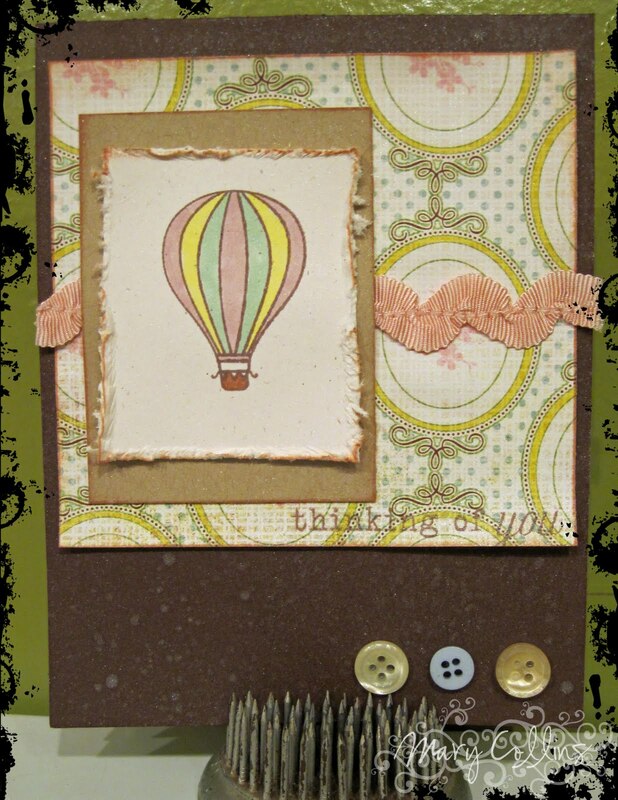 This wonderful sketch is from Card Positioning Systems and the colors also fit the color scheme at Curtain Call Color Challenges for the week! Be sure to check out Deedee's Digis for this week's challenge on the Craft Blog! It is a super fun one! 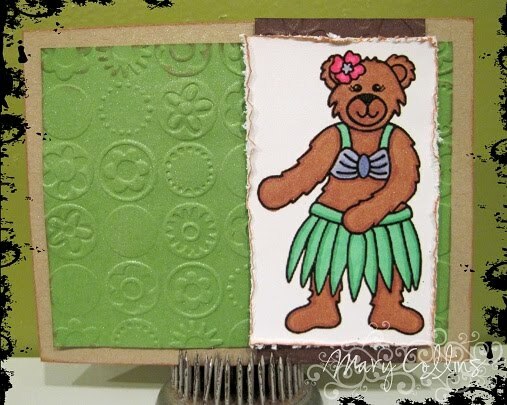 Plus, my cute little bear on there is a Deedee's digi! Hope your week is starting off wonderful! Sounds like a good combo to me! And I'm super excited about both! 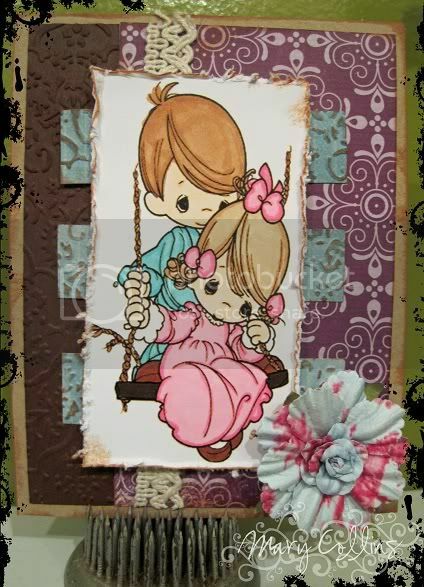 The super cute little guy is from Deedee's Digi's and the sketch is from Midnight Madness Sketches. I had not heard of their sketches, but was looking for something I could do as a Sunday post and think I may have found a keeper! Thanks for the fun sketch! When I saw the current sketch for Card Positioning Systems, rather than a card, a scrapbook page was the first thing to come to my mind. Today's Scripture Saturday over at Christian Paper Crafts is Psalms 19:1. 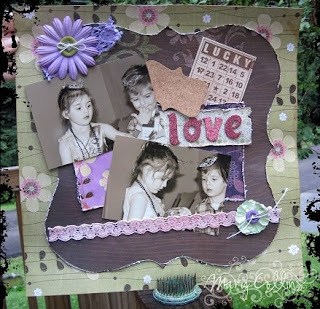 Although I knew the picture I wanted to use for my page, I was unsure on the layout until I found that one!! 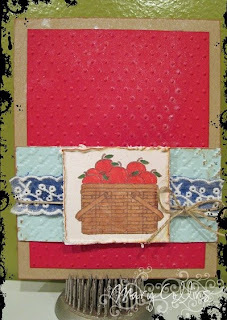 I also had to combine it with the Fussy and Fancy Challenge of Scallops, Stitches, and Sparkle! 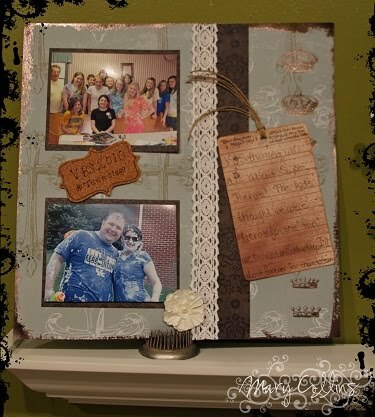 Such a fun way to remember such a fun vacation! I received my grade back from my Statistics midterm and found out I scored 95%! So excited :o) Now if the rest of the class goes that good I will be all set! Next up is a card I made for MOJO Monday and Digi Doodle Shop - just getting some MOJO on with my scraps, LOL! I just loved our fun time at VBS! The top pic is me with my Teen Class and the lower one is my hubby and me covered in shaving cream on the day of the VBS Party! So, what will you CASE today? When my hubby walked into my office the other day, he wondered what all of the coloring books were doing laying around on MY desk rather than Abby's. Simple - I have been shrinking coloring sheets to fit my cards :o) This little number was so much fun to make for Sketch Tuesday over at Christian Paper Crafts! I simply adore my little Abby and this image makes me think of her innocence! 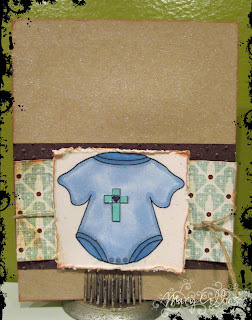 Head on over to Christian Paper Crafts and play along! Really, you would think I would be over it by now, but I wanna be back at the peaceful beach! 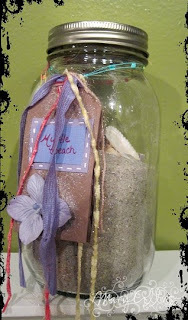 I couldn't resist playing along with some "beachy" themes and accessories to reminisce on our sweet vacation time. The super images are from Deedee's Digis, and guess what? Deedee has a Dollar Digi section now! That is totally awesome, and if you wanna know why, well here is the scoop: You see, for just a dollar, you get a digi image that you can resize, print, and color as many times as you want. Now, most of us are guilty for buying the stamps in the dollar bin where we are stuck to the small size the stamp is. 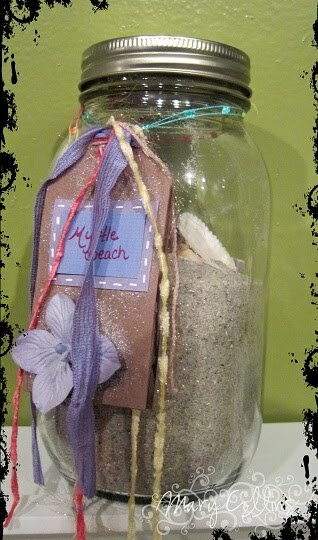 But with these, you can make them as BIG or little as you wish! 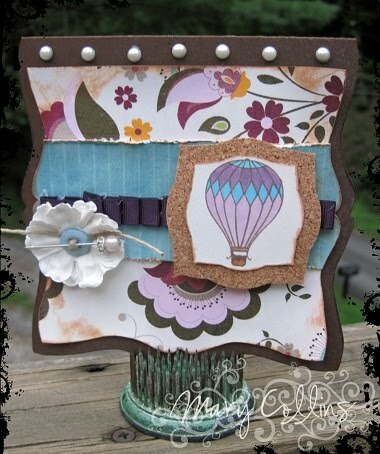 Head on over to the Deedees Digi's Craft Blog to see more ideas with today's stamp and play along with this week's sketch challenge! 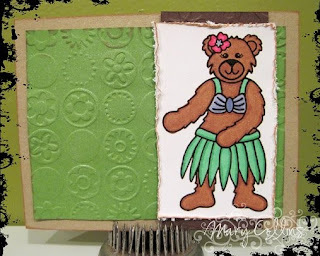 Over at Kaboodle Doodles, they are having a luau and you should totally go check it out! 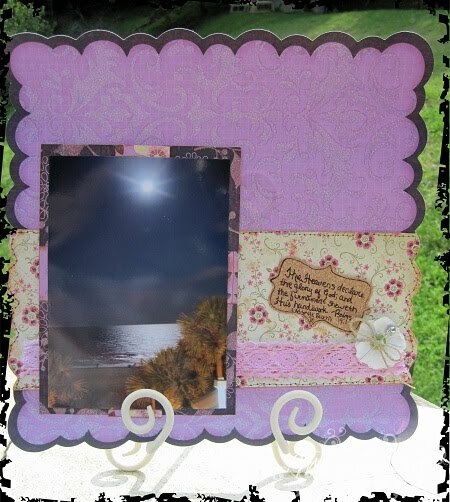 Both of my cards fit the theme! 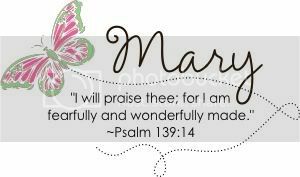 I hope you are having a Blessed Monday! 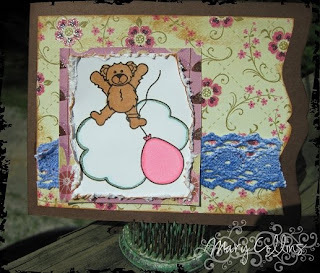 Welcome to the Craft Blog today! 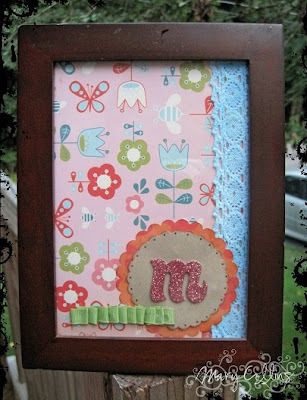 I'm Mary, but you would probably know me better by Softangelkisses since that is the name of my blog and the name I use mostly in the crafting world! 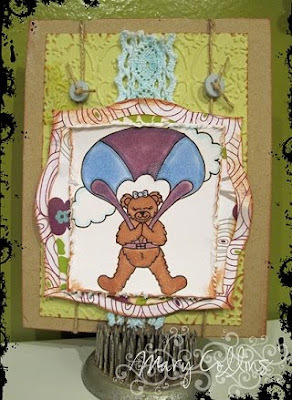 My little card today is made with one of Deedee's cute little bears and I just fell in love with him! I hope you do too! Hopefully this will be a restful and relaxing Sunday since we are all headed back to work tomorrow!! Today is our VBS wrap up party and we are so excited to be "plotting" against Water Woman! HEROs week has been so much fun! 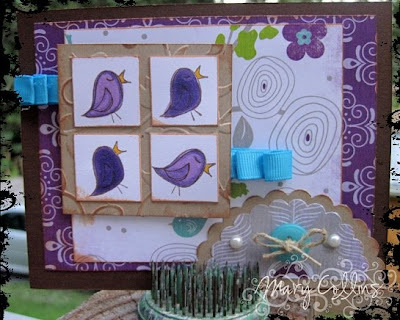 I was so excited to see embossing as Candace's challenge today, because I just love using my cuttlebug! My image is actually a coloring book sheet and I just shrunk it down, printed, and colored with Copics :o) The super fun sketch is from MOJO Monday! Well, it's off to clean the house for me! Have a great day - see you back tomorrow for Scripture Saturday! I colored him with my copics and the papers are all PaperTreyInk with the exception of the designer paper - it is Cosmo Cricket, the boyfriend. 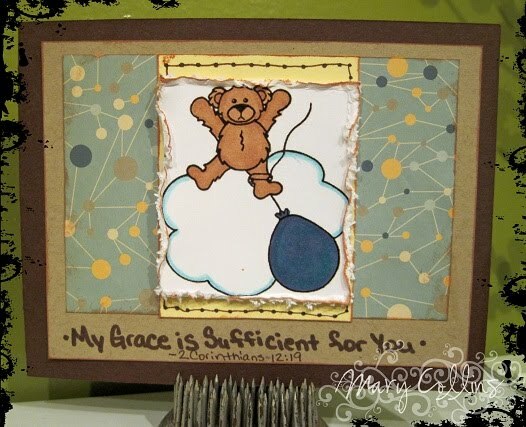 The super sketch is from the talented ladies at 2Sketches4You and the Bible verse is from the Bible Verse Thursday Challenge at Christian Paper Crafts! 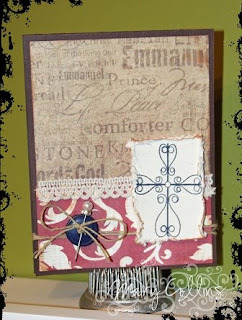 See, to play along in the CASE challenges at Christian Paper Crafts, everything doesn’t have to be just “so-so”! Just show us what you made and what your inspiration was! Have a blessed day, and I can’t wait to see your creations!! That's how my Summer of school is coming along. I am getting ready to take the mid-term in stats and hopefully go through the rest of the class full speed ahead and get to the final by the end of this month! Right now, my stamping and scrapping time is while Abby is asleep, but it is a good way to shut down from the world of school and it gives me more of a set schedule to "play" than I had ever before!! 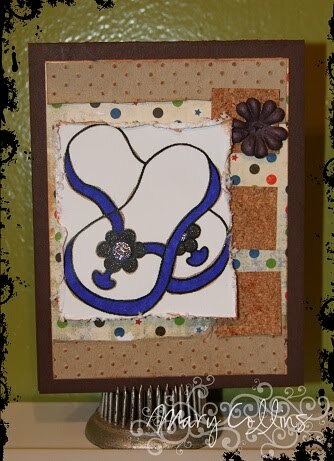 Today's card for Sketch Tuesday is sightly modified from the original sketch a little bit. 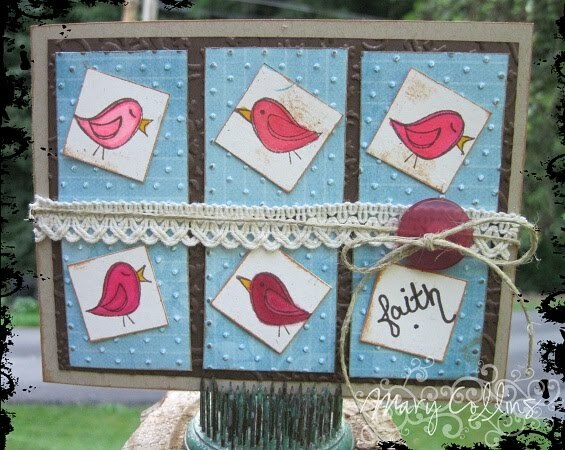 I did not want to make a square card, so I had to do a little "tweaking" to make everything fit! I think I added a little of everything onto this little card, but I sure think it's cute - and hope you do too!! 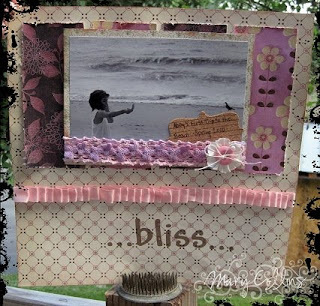 I hope Summer time is treating you well and you are having your greatest yet! 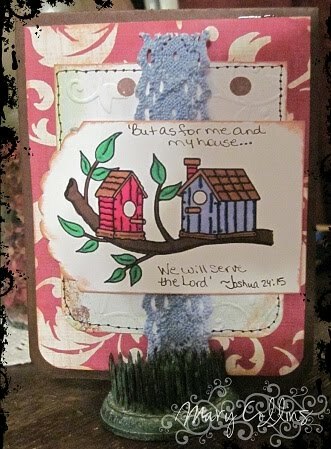 I am excited to FINALLY be sharing my Scripture Saturday page with you - just a couple of days late! I had a picture in my mind of how I wanted to do the page and would not stop until I got it that way! It's my sweet little one on her first trip to the beach - All done in BoBunny Line with some primas, ribbon, lace, and a cork journaling tag (homemade). 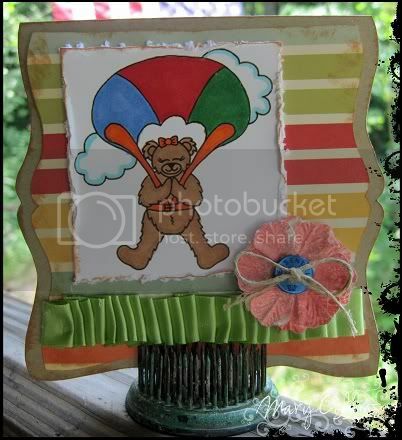 Next up is for Color Monday at Christian Paper Crafts! I love playing along with the colors, even if I don't get them exactly right, it gives me a springboard to start from! Today's colors were brown and celery. Well, since I could not find any green that could be considered "celery", just consider this celery that has been left in the bottom drawer of the fridge for a few days too many! Hey guys! Today has been an awesome day, but I think it has spoiled me and Abby both just a little! I took the whole day off from work for me and her to just spend at home! We have had so much fun together, and the day isn't even over yet!